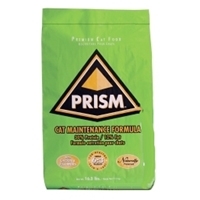 Prism Feline Breeder White Bag 50 lb. Formulated for maintenance of the mature cat. An aid in urinary tract health.